The salaries, as well as terms and conditions for a number of workers hired by the Dr Keith Mitchell administration since the New National Party won General elections on 19 February 2013, are expected to be made public on Friday during a sitting of the senate. On the order paper for Friday’s sitting of the Senate are a number of questions from Labour Movement representative Raymond Roberts, addressed to Leader of Government Business Sen. Kenny Lalsingh. Following the General Elections of February 19, 2013, what are the emoluments being paid to the Ministers of Government, Parliamentary Secretaries and Backbenchers — including allowances for constituencies? Furthermore, when did the payments take effect? Whose contracts ended and were not renewed. Those contracts that were renewed. Those which were prematurely terminated between February 25 and May 31, 2013. A list of the new workers, including Advisors and Consultants who were given contracts, as well as, their emoluments and allowances. 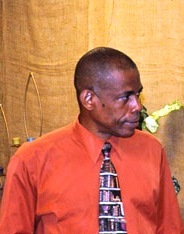 Will the Leader of Government’s Business provide a list of the number of overseas trips made by Government Ministers, Advisors and Consultants, and the purpose for which these trips were made, commencing February 21 to May 31, 2013 and whether they were sponsored by International Organisations or paid for by the Government of Grenada? Will the Leader of Government’s Business provide the terms and conditions for the employment of the Economic Advisor, Dr. Patrick Antoine, including his emoluments and allowances? Will the Leader of Government’s Business provide a list of the names of persons who purchased lands from the Government in the South St. George Constituency between 2002 – March 1, 2013, including the price for which they paid for the lands, as well as, the terms and conditions?